Clover consists of four 20-inch black-and-white monitor tubes mounted on the four edges of an open steel platform measuring 50 h. x 30 x 30 inches (127 x 76 x 76 cm.). The tubes have been removed from their chassis, allowing for their tapered bulbs to be directed towards a center point in a clover-like form. 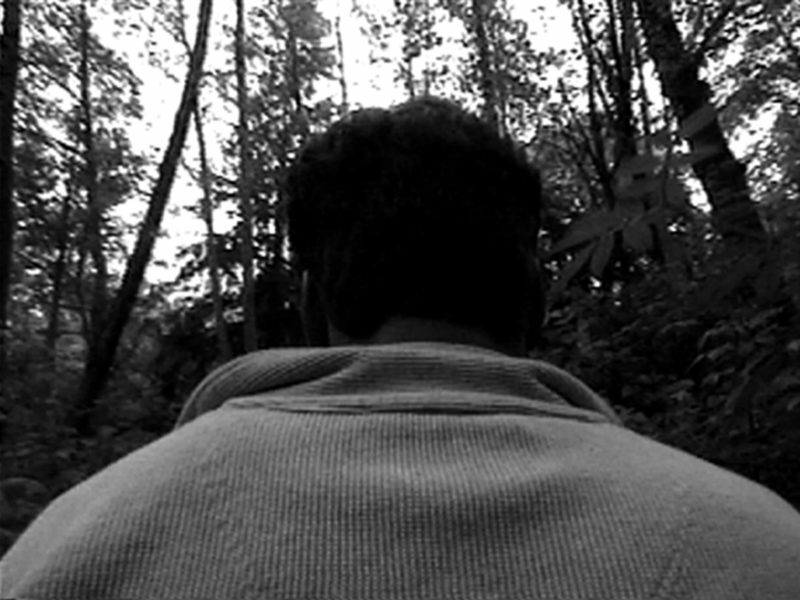 Each image is of a man seen from behind, recorded with a camera that is attached on a brace out from his back. 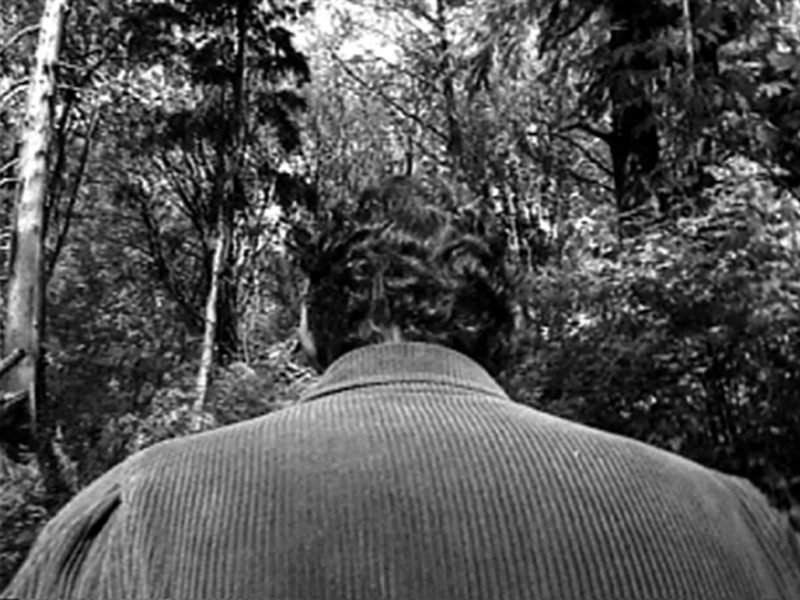 The image consists of his shoulders and head, around which can be seen a wooded background marked with trees, that continuously moves toward the viewer. The men appear to be moving toward a common ground; however, we notice that each man, is a part of the seeing apparatus, and thus ceases to move as the world passes by. An example of this work was first exhibited at the Musée d’art contemporain, Lyon, France as part of the exhibition “Gary Hill,” May 26 – September 19, 1994. “Gary Hill,” (travelling exhibition organized by the Henry Art Gallery, University of Washington, Seattle, Washington), Museum of Contemporary Art, Chicago, Illinois, September 24 – November 27, 1994; Kemper Museum of Contemporary Art and Design, Kansas City, Missouri, October 14, 1995 – January 14, 1996. “Gary Hill,” (travelling exhibition organized by Riksutställningar, Stockholm, Sweden) Moderna Museet, Spårvagnshallarna, Stockholm, Sweden, February 4 – April 17, 1995; Museet for samtidskunst, Oslo, Norway, April 26 - May 21, 1995; Helsingin Taidehalli, Helsinki, Finland, June 29 - July 30, 1995; Bildmuseet, Umeå, Sweden; September 3 - October 15, 1995; Jönköpings läns museum, Jönköping, Sweden, October 22 - November 15, 1995; Göteborgs Konstmuseum, Göteborg, Sweden, November 15, 1995 - January 14, 1996. “Città Natura: mostra internazionale di arte contemporanea,” Palazzo delle Esposizioni, Rome, Italy, April 21 – June 20, 1997. 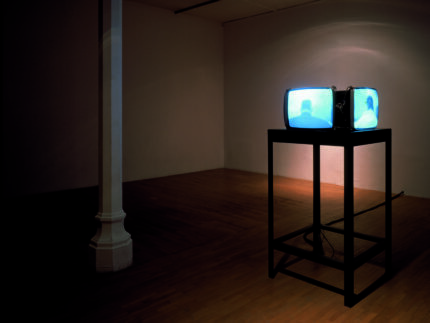 “Surrogate: The Figure in Contemporary Sculpture and Photography,” Henry Art Gallery, University of Washington, Seattle, Washington, October 8, 1998 – February 7, 1999. Donald Young Gallery at The Armory Show, New York, New York, February 24 – 28, 2000. 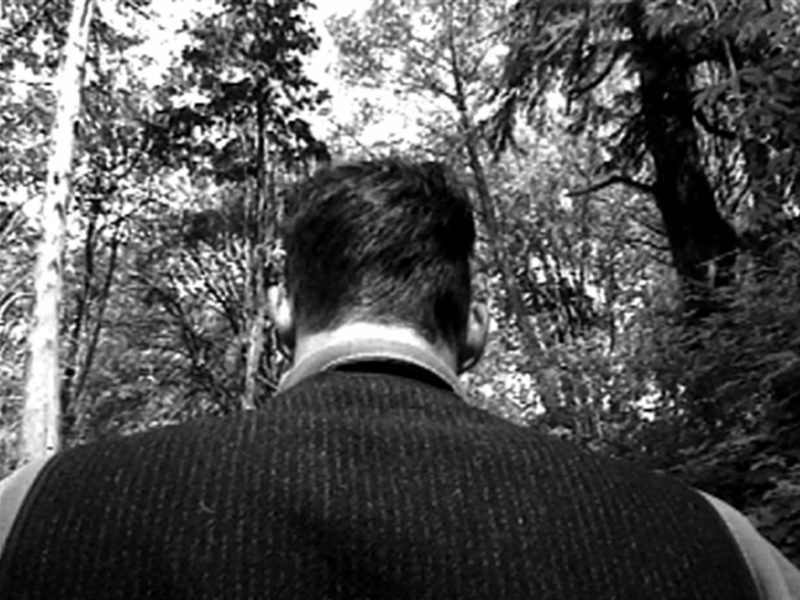 “Regarding Landscape,” The Museum of Contemporary Canadian Art, Toronto, Canada, May 12 – June 30, 2002. Travelled to: Saidye Bronfman Centre for the Arts, Montreal, Canada, , September 12 – October 27, 2002. Gary Hill: Tall Ships, Clover. Stockholm: Riksutställningar, 1995, pp. 5 - 7, 48, 49. Città Natura: mostra internazionale di arte contemporanea. Roma: Fratelli Palombi Editori, 1997, pp. 37 - 41. Gary Hill: Selected Works and catalogue raisonné. Wolfsburg: Kunstmuseum Wolfsburg, 2002, GHCR 83, pp. 180. Odin, Paul-Emmanuel. L’absence de livre [Gary Hill et Maurice Blanchot – Écriture, vidéo]. Marseille: La Compagnie, 2007, p. 205. Quasha, George and Charles Stein. An Art of Limina: Gary Hill’s Works and Writings. Barcelona: Ediciones Polígrafa, 2009, pp. 278 – 279, 572.